7:30 AM to 4:00 PM, Monday - Thursday. A great lawn is something that provides beauty and function to your family, neighbors and visitors alike. Herbafex utilizes over 18 years of turfgrass management experience to care for your property. Just say no to ants, roaches, fleas, ticks, spiders, bed bugs and all those nuisance rodents, too. Herbafex utilizes IPM (Integrated Pest Management) concepts to achieve a high level of pest management. Commerical property demands consistent care to preserve the value and showcase it prefectly to the world. Herbafex can design a maintenance regimen for your on commercial or industrial property. Having a proper irrigation system is vital to your lawnscape's overall health. Herbafex are experts in the design, installation and maintenance of irrigation systems for any type or size of property. 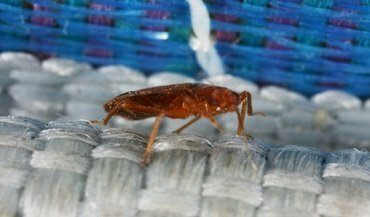 If there is one thing everyone can agree on, bed bugs are unwanted guests that must be evicted. These pests are blood-thirsty and excellent at hiding from you. When it comes to convenience and water conservation, there is only one system to consider. Hydrawise is the most complete wi-fi irrigation control system offered. With over 20 years of experience in the hardscape industry, we have the expertise to handle your project. We provide a digital design to precisely present your dream. Herbafex is honored to offer exceptional care to our clients. By providing pest & rodent control, landscape, hardscape, irrigation, lawn care and horticultural consulting, we handle a very critical component of preserving and beautifying your property assets. Having one company take responsibility for all of these areas bring efficiency and saves you money. We are also the area's only authorized company to install and maintain Hydrawise, a complete wi-fi irrigation control system by Hunter. This technically-advanced system will yield up to 50% water savings and make watering your plants & property oh so easy. With the added mobile app, you can have full control from anywhere in the world. 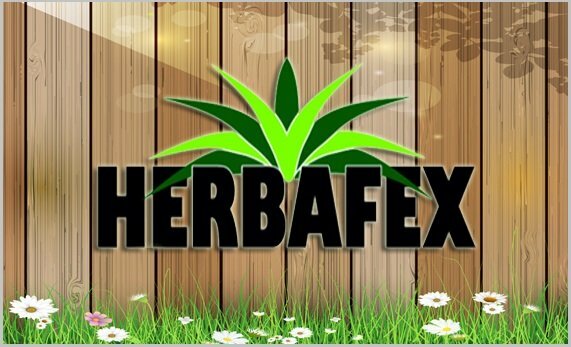 When Herbafex was established in 1993, the mission was a simple one. We would build a customer-centric, landscape firm focused on the high standards of quality both in performance as well as with employee recruitment and retention. We exceed client expectations by having a responsive attitude, which has developed a level of professionalism and commitment to detail that has been unmatched by our competition. We pride ourselves on our friendly, experienced and reliable staff to provide unequaled workmanship. Our current customer base ranges from large HOA’s and COA’s to office buildings and office parks. 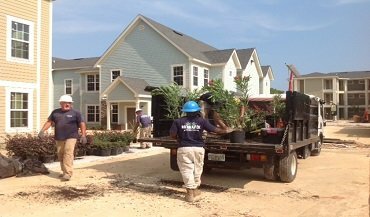 Our clients are serviced by our staff of 50+ landscape professionals.